Learn how to deliver news in any and all media. 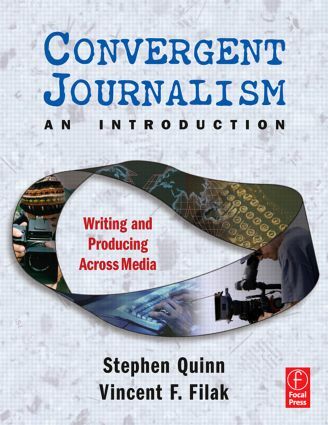 This one volume teaches you how to master all of the skills needed to be a converged journalist. Don't think only broadcast or print. Think online, air waves, magazines, PDAs, cell phones and electronic paper. Convergent Journalism an Introduction explains what makes a news story effective today and how to recognize the best medium for a particular story. That medium may be the web, broadcast, radio, or a newspaper or magazine - or, more likely, all of the above. This text will explain how a single story can fulfil its potential through any media channel. Convergent Journalism an Introduction shows you, the news writer, editor, reporter, and producer how to tailor a story to meet the needs of various media, so your local news story can be written in a form appropriate for the web, print, PDA screen and broadcast.